As a business owner, it’s inevitable you’ll have to pay for electricity. Whether that cost is large or small will depend on your industry and operational needs. If you’re on the higher end use of the scale, electricity bills can quickly become a significant overhead. 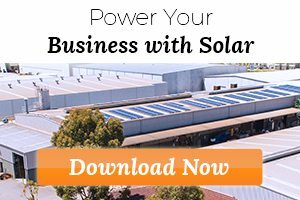 With solar, you have the opportunity to turn the electricity expense you’re already paying for, into a money-saving asset for your business. Not only that, but you’ll also reduce your overheads while gaining a long life asset. Cost is one of the main objections business owners bring up when they consider investing in a solar system for their business. With large commercial sized systems costing anywhere between $21,000 right through to $200,000, we understand that it’s a significant amount of capital to invest in a one-time purchase. 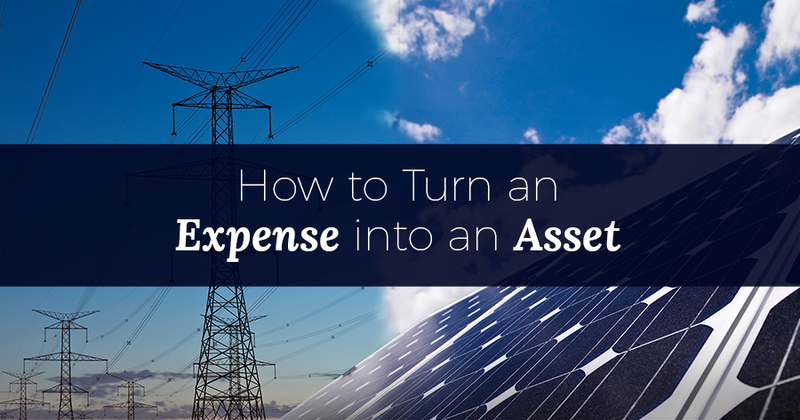 Thanks to numerous finance options including Power Purchase Agreement (PPA) and Solar Leasing, the need for upfront capital outlay is no longer necessary when investing in a solar system. With a PPA, the PPA Provider takes on full ownership and maintenance of the solar system on your roof. You pay $0 upfront for the system, and lock in a low solar electricity rate for the entirety of the agreed upon term. Find out more about Solar PPAs here. A big feature of solar leasing is that in many cases, the electricity cost savings generated by the solar system more than offset the lease payments for the system. This means that the purchase of a solar system involves no upfront payment, so your monthly cash flow is positive from day one. After 7 years (or the agreed lease term), you own the system outright and will benefit from all the free energy your solar system produces for the remainder of its lifetime. When utilising these type of finance options, electricity stops being a major expense for your business. The amount you would have spent on electricity is not only significantly reduced, but also working towards paying off a future money generating asset – your solar PV system. 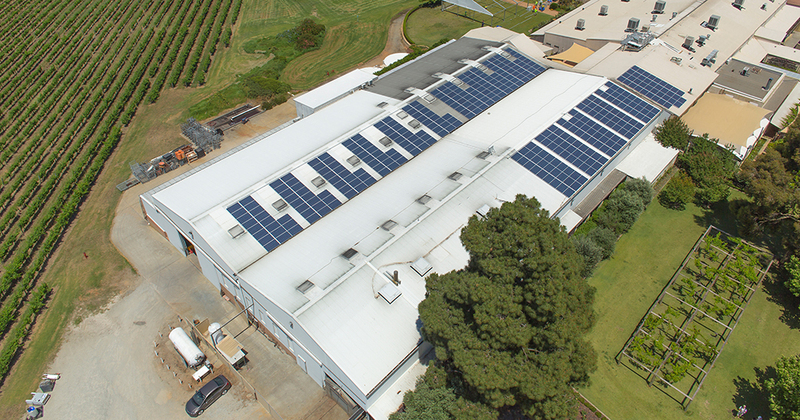 100kW solar PV system we installed at Sandalford Winery. The 2018 WA State Budget saw electricity prices change for business, with supply charges up across the board (as much a 238% increase for businesses on the Synergy Business Plan (L1) tariff), and is only set to continue year on year. 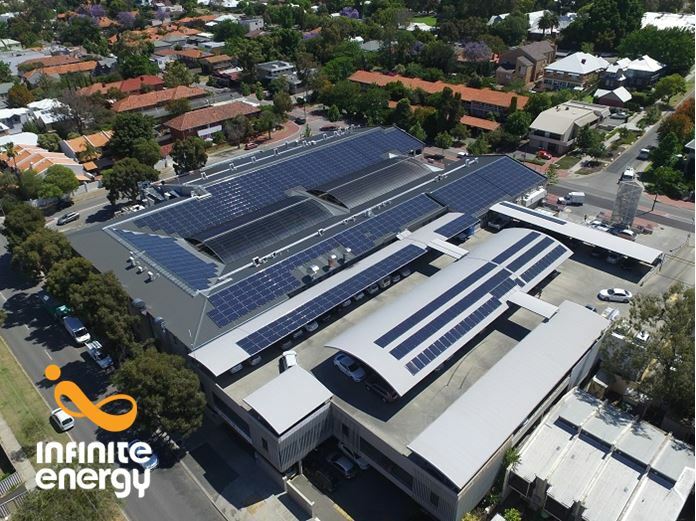 By investing in a solar system, and locking in either a fixed cost for your solar electricity (PPA) or utilising the energy for free (leasing or outright purchases) your business is protected from rising electricity prices. A study at the University of California revealed the insulating power of solar panels, namely that daytime ceiling temperatures under solar panel arrays were up to 2.5 degrees cooler than under an exposed roof, while at night the conditions were warmer than for the exposed roof. This has the potential to significantly reduce air-conditioning and heating costs for your business. NABERS, or the National Australian Built Environment Rating System, measures the environmental performance of Australian buildings, tenancies and homes. Installing a commercial solar system will increase your buildings NABERs rating due to significantly lower carbon emissions, without the capital outlay. A well-designed, quality Commercial Solar System will also make a strong visual statement to a business’s environment credentials and focus on sustainability. The 312kW system we installed at Broadway Fair Shopping Centre. For many businesses, electricity represents a fixed expense with very little flexibility. Thankfully, that’s no longer the case. Investing in a solar PV system gives businesses the opportunity to turn the electricity expense they’re already paying for, into a money-saving asset. Our experienced energy consultants can conduct a free energy assessment for your business, and recommend a system size and finance option to suit you.